Quick Quiz: Where can you get a sewing kit, local organic milk and a rotisserie chicken at midnight? The answer: Western Market on Highland Avenue. 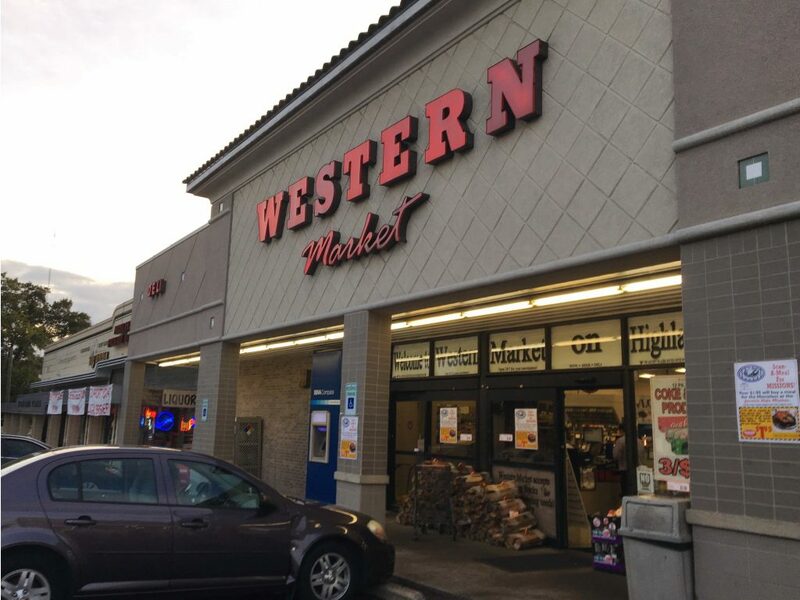 Long before the downtown Publix was a twinkle in a (much loved) developer’s eye, the Western on Highland was plying Five Points South and Highland Park residents with grocery essentials on their own scheduling terms. The Western’s selection is abbreviated but solid. And it’s open all the time. Literally. It has the snack selection you’d expect plus plenty of prepared foods — sushi, sandwiches, even a Mexican food bar at times — but some local foodie treats that belie its gas station hours. There’s a case of Heavenly Donut Co. near the cash registers, and Working Cow Dairy products in the milk case. Besides the expected Starbuck’s packs, Western on Highland offers Red Bike, Fairhope Roasting, and O’Henry’s blends. Located in its own little restaurant row — Galley & Garden, Hot & Hot, and both Bottegas are within two blocks — its foodie bona fides make a little more sense. Even after a fancy dinner, there’s still tomorrow’s eating to deal with, after all. And filling up on a “chicken fried steak” doesn’t save you from needing a quart of milk or a bunch of bananas for morning. Or perhaps just a nightcap. Beer lovers will find plenty of local crafted cans from Good People, Cahaba, and the like. There are also pithy Monday Night Brewing titles and New Belgium bottles. Even 22-ounce bottles of Miss Fancy’s Tripel and Scrumpy’s Hard Cider, for something a little different. We’re most likely to raid the frozen food section, which includes plenty of pizza options and a healthy ice cream selection. Plastic spoons next to the pints of Haagen Das make us wonder if the Western on Highland knows us too well. But who among us hasn’t had an ice cream emergency? And more often than not, it happens just as larger grocery stores are shutting their doors. Our diets may give it the stink-eye, but our hungry hearts are forever grateful.